Being aware of the ongoing attacks on Pope Francis especially about Amoris Laetitia we would very much like to invite you all to distribute both initiatives in your countries and in your groups. 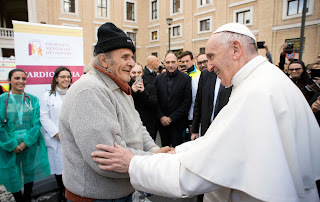 Both initiatives are very important to counterbalance the conservative voices who want to hinder any change in the teachings and practice of the Church. With these petitions we call to our bishops and theologians to increase their support for Pope Francis. Many thanks for your taking action! My Response: Not only do women at the altar affirm the glory of Christ but, women, men, and created beings manifest Divine Presence everywhere. Our movement advocates a renewed priestly ministry in a community of equals that is inclusive and empowering. The Rev. 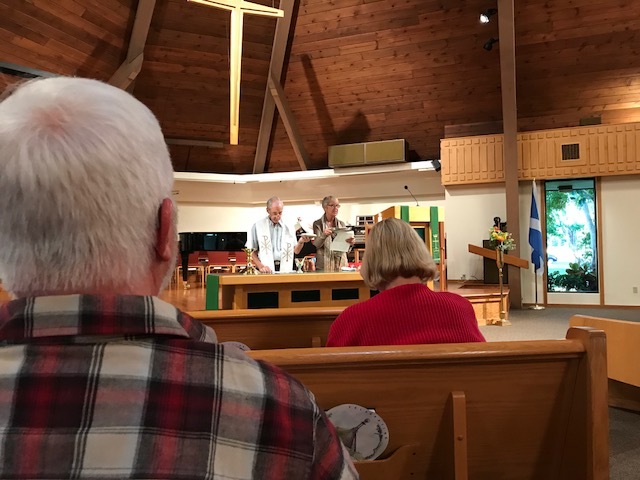 Marilyn Rondeau is a member of Living Water Inclusive Catholic Community, which held its first services Sunday afternoon at Harriet Chapel, south of Thurmont. 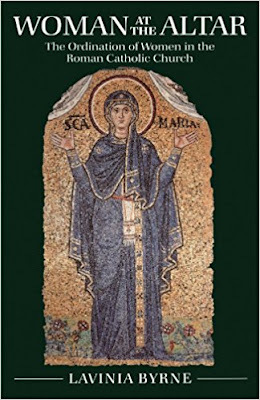 "The Roman Catholic Church has been a constant presence in Mary Hollomon’s life. 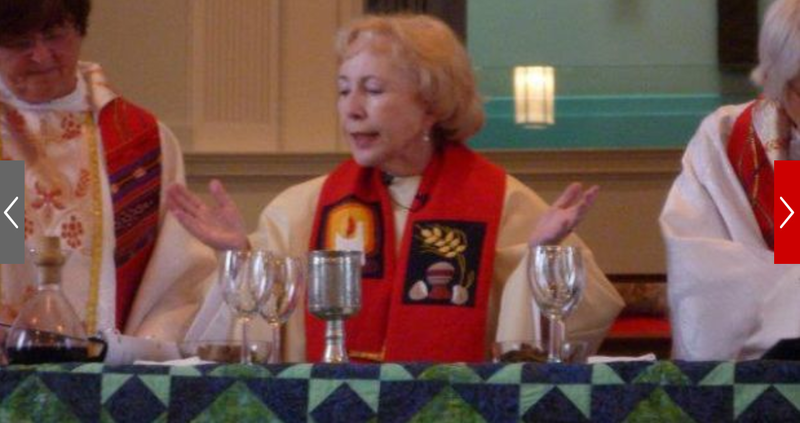 Hollomon, 75, who lives in Frederick, was raised in a Catholic family and continued to worship at Catholic churches throughout most of her adult life, save for a brief period when she attended an Episcopal church. Despite her nearly lifelong affiliation, Hollomon found certain Catholic teachings difficult to swallow, including the exclusion of women from the priesthood. After years of internal struggle, she recently found a way to reconcile her faith with her values through Living Water Inclusive Catholic Community. Living Water supports ordination of women to the priesthood. Its female clergy are also affiliated with the Association of Roman Catholic Womenpriests, an international movement of women deacons, priests and bishops. 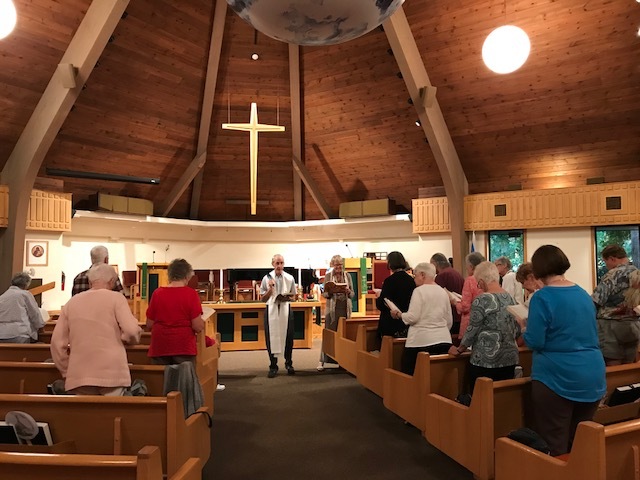 Since beginning in a church in Annapolis in 2008, Living Water has grown to include services at churches in Baltimore, Catonsville and, as of Sunday, Frederick, with a Mass at Harriet Chapel near Thurmont. Before Sunday, Masses were said at Holloman’s former house in Thurmont. Growing interest among local residents prompted leaders to seek a designated church space, according to the Rev. 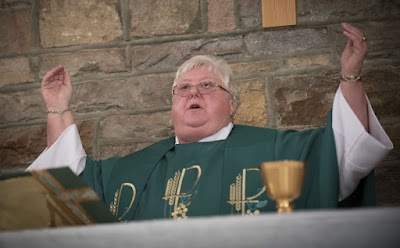 Marilyn Rondeau, the priest who presided over Mass at Harriet Chapel on Sunday. None of the churches where Living Water hosts Mass are Catholic. The Catholic Church does not recognize women like Rondeau who have been ordained as clergy, although the Association of Roman Catholic Womenpriests asserts that the female priests’ ordinations are valid based on the concept of apostolic succession. Under the rules of apostolic succession, spiritual authority bestowed to Jesus’ original apostles has been handed down to subsequent generations of clergy. A male Roman Catholic bishop ordained the first female bishops, who then passed the spiritual authority down to other female clergy, according to the association. As its name suggests, Living Water emphasizes inclusivity in all aspects of its teaching, not just the gender of its spiritual leaders. Worshippers are involved in all aspects of the service, from reading the Gospels — traditionally reserved for clergy in the Catholic Church — to the offertory in which the bread and wine used for the service are ceremonially placed on the altar. “What makes us unique is that we are speaking with more than one voice and listening with more than one ear,” Rondeau said. As an ordained priest, Rondeau still consecrates the bread and wine, completing the transfiguration of the food and drink into the body and blood of Christ. Living Water also lets anyone take Holy Communion, regardless of faith, sexual orientation or marital status. The sacrament is traditionally reserved for Catholics under the church’s doctrine. Those who have divorced or separated but not had their marriage annulled in the church are also excluded from Holy Communion, although Pope Francis has acknowledged that there may be exceptions that bishops can permit for their archdiocese on an individual basis, the Catholic News Agency has reported. Members of the LGBTQ community have been denied the sacraments of Communion and marriage as well as burial under canon law, although some priests and churches have defected from this rule on an individual basis. Rondeau framed Catholic doctrines as a series of antiquated rules that denounce many of the identities and beliefs held by would-be followers. “There’s a lot of people that feel so disenfranchised and so marginalized by the Roman Catholic community,” she said. “They put up with things they disagree with, hoping things will change,” Hollomon agreed. Theme: Our Father and Mother….May [y]our kindom come…. All: We gather now to pray to God…while believing that God speaks (or “prays”) in and through us. We pray that God at work in us comes to visual and audible expression in our words and actions to those around us. We rejoice in the wonder of the fulness who we are and for the responsibility we carry with us. We are grateful that the Breath of Life, our Spirit, supports us in the roles we share in the coming of the kindom. Loving God, bless all of us gathered here and all those of our community who are not with us today. We ask this of you, our brother Jesus, and our Wisdom Sophia. Amen. All: (raise an arm toward our brothers and sisters, as we pray…) Compassionate God, we believe that nothing we do can separate us from your infinite love. And we also know that we have to continually enrich our never-satisfied need to grow in our acts of understanding and compassion so that we may be more forgiving of our brothers and sisters. We ask for your forgiveness for any of our actions that may be hurtful to people of other beliefs and interests, nationalities and races. Caring God, give us the strength to spread your merciful blessing that is your gift – through us – to all those with whom you share your unending love. We ask this in the names of Jesus, our brother, and the Holy Spirit, our healer and comforter. Amen. Psalm 128 Responsorial: Blessed are those who listen to Jesus and walk in his ways. All: We believe in God, the Creator of the Universe, whose divinity infuses all that exists, making everything everywhere in the cosmos sacred. We believe in Jesus, the Christ, the touch of God to humanity, who leads us to the fullness of life. Through his incarnation, we have become a new people…a holy one called beyond the consequences of our brokenness. We believe in the Spirit, the Breath of God who keeps the Christ-vision present to all those who are searching for meaning and wholeness in their lives. She is the Sustainer who heals and energizes us when our strengths grow weary in our journeys. We believe that God’s shared kindom is here with us now and will always be present for those with eyes to recognize it, hearts to receive it, and hands to make it known to everyone. 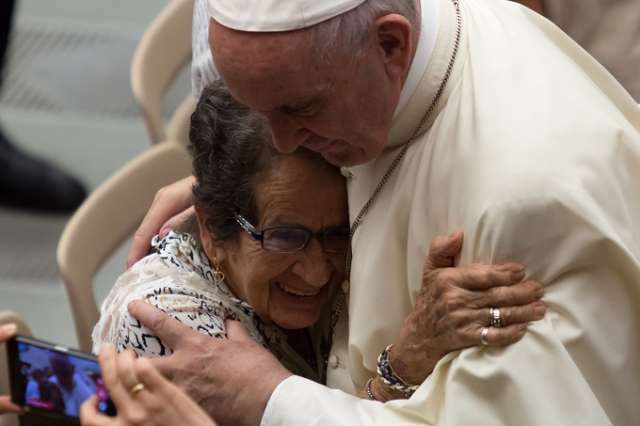 Presider: Jesus, who has often sat at our tables, now invites all of us to join him at his. Everyone is welcome to share with one another in this blessed meal. All: Loving and caring God, we – your people – are united in this sacrament by our common love of Jesus. And we are in communion with everyone, everywhere, who shares your gift of compassion especially all those who are marginalized and oppressed. May we love tenderly, act with justice, and walk humbly with you in solidarity with our sisters and brothers everywhere. And may we always live as prophetic witnesses to the gospel of Jesus. Amen. Voice 1: Ever living and ever-loving God, it is through you that we live and move and have our very being while on planet Earth. And we know that in the days to come, that Spirit, who raised Jesus from the dead, is the foretaste and promise of the paschal feast of heaven. Her dwelling with us gives us everlasting hope of unending peace and joy with you. And so, we sing with thankful praise…. Voice 3: And when his time on earth had come to an end, Jesus – aware of and accepting his destiny – gave up his life for the values that he deeply believed, lived and taught…his conviction that love is stronger than death. And then, providing a personal example of this insight for the easier understanding of people in ages to come, he opened wide his arms and died. Then the Spirit, one stronger than death, raised Jesus to life, showing everyone that life is eternal and that love is immortal. Jesus is with us today as he will be through the end of time. Voice 5: God, remember your church throughout the world, help us grow in love, together with Francis, our Pope, Bridget Mary, our Bishop, and all your People everywhere – especially those who live on the margins of church and society. We remember, as well, the entire communion of saints, both those living and dead, who touched our lives and left your footprint on our hearts. We remember especially …(pause as names are mentioned). Presider: Gracious God, as we come to share the riches of your table, we cannot forget the poverty of so many of our brothers and sisters, our families and neighbors. love for all. And may wonder and thanksgiving fill us with knowledge, understanding and experience of your love and compassion for us, your sacred people. We ask this in the name of Mary’s son, Jesus the Christ. All: Amen. Presider: Loving God, we have looked for others to save us and to save our world. Yet, we have been called and blessed, and are now commissioned and sent into the world to create cultures of peace and justice. May we again commit to our role in making a more smooth development of the “coming of the kindom” of God. Presider : As we leave here in the peace of Christ, let us be the people that God created us to be. Let our service continue so that everyone observing us will know we are Christians by our love . "Catholic Church’s Stance on Women Alienates people, Archbishop Says", Diarmuid Martin by Patsy McGarry, Irish Times, I Agree, Ordain Women in Ireland, Colm Holmes writes that Archbishop said we will see " new forms of priestly presence" within faith communities in changing future of Ireland"
My Response: I agree with Archbishop Diarmuid Martin that the church's stance on women alienates the people of Ireland. I look forward to ordaining women priests in Ireland. The first women, who take this courageous step, will be a sign of hope that a new day is dawning in which women lead the way toward a more inclusive church in which all can feel at home. Colm Holmes' comment on Archbishop Martin's statement that there will be "new forms of priestly presence" sounds like what is happening in the United States , Canada, Latin America in our women priests' led inclusive communities. Very interesting, that he is predicting this for the future of Ireland! I have just been reading Archbishop Diarmuid Martin's talk in St. Mary's Haddington Road (16 November 2017) about the Church in Ireland in 10 years time. 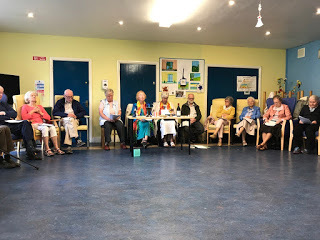 He states: "Probably the most significant negative factor that influences attitudes to the Church in today's Ireland is the place of women in the Church." And he goes on to say we will see "new forms of priestly presence within faith communities in the changing future of Ireland." Now that's as close as our Archbishop has come to an endorsement for opening all ministries to women!